[Today we get to see what the lying scum Jews in the UK manage to pull off. 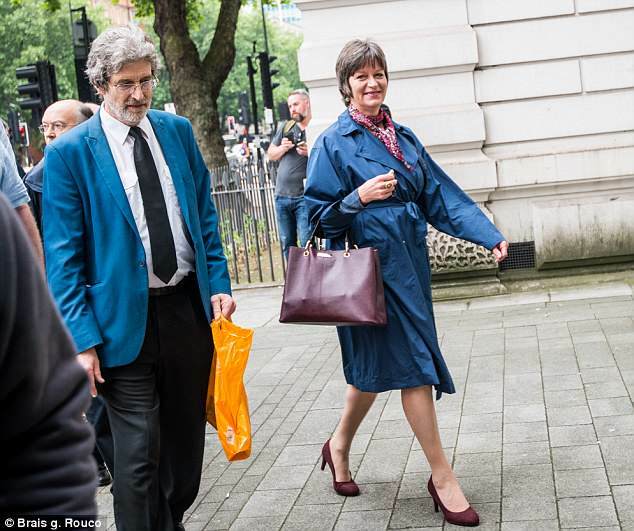 Will Alison Chabloz get fined for singing her satirical songs or will the Jewish filth try to have her put in jail? We’ve seen what has happened to poor Jez Turner for doing nothing more than making a patriotic statement! He said Britain must be liberated from the Jews! For what is basically a patriotic statement that should be lauded and rewarded, he gets a 1 year jail sentence! In Germany, it won’t matter what Alfred or his sister Monika say, the goal is to put them in jail for as long as possible for daring to tell the truth which would clash with the mass of Jewish lies. That’s how sick this world is. Its time for whites everywhere to arise and begin reasserting themselves! I hope for the best for Alison. We must also remember to AVENGE the wrongs done to our people like Alison, Jez, Alfred, Monika, Sylvia, Horst, Gert and others. We must not let the Jews get away with these endless crimes. After two years of fighting charges of incitement to violence and support for a terror organization in songs they performed in 2010, two Arab rap singers from Haifa finally won their case. The prosecution originally agreed to drop the charges for lack of evidence but the rappers, Wala Sabit and Jowan Safadi, who were charged over songs they performed at a coexistence festival in Haifa, fought until the court declared them not guilty. Safadi said he was pleased with the outcome of their struggle, and that over the past two years he and Sabit had been the victims of incitement themselves, following reports that they had praised suicide bombings. “It was very important for us to achieve this result, because in the end we are artists and without freedom of expression we have nothing to do,” he said. We shall see tomorrow, 10 am, Westminster Magistrates Court, whether or not the British justice system wishes to outdo the Middle East when it comes to removing artists’ right to freedom of expression, including the right to mock and satirise without fear of the ‘risk’ of causing offence. Because if this is indeed the case, then there can be no more satire. Rendez-vous from 9 am, Marylebone Station forecourt.